Induquim has a range of specific products for slaughter houses, cutting rooms and industries for meat products and prepared meat products. The meat industries accumulate a large amount of organic waste like blood, protein remains and fat. 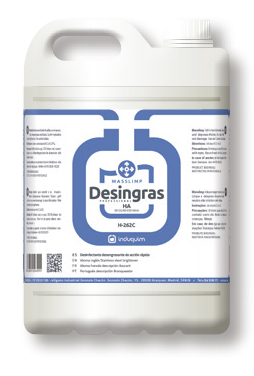 It is a productive activity with continuous work in various shifts that often demand intermediate cleaning and thorough cleaning at the end of the productive day. 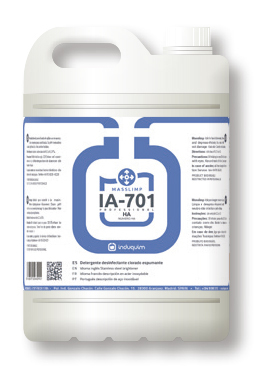 Moreover, it is essential to clean utensils, knives, conveyor belts,… that normally have wash down equipment to generate foam to clean the surfaces. 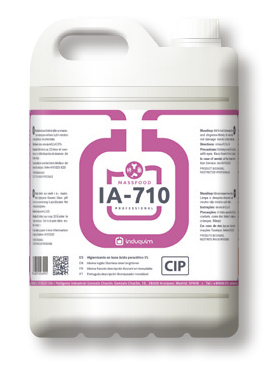 Peracetic acid for drains and surfaces IA-709 and IA-710. 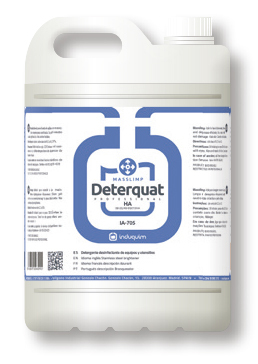 Quaternary ammoniums for machinery and rust sensitive areas: Desingras, Desincol, Deterquat, Biofresh Bac. 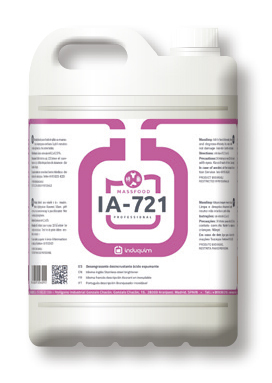 On occasions, acidic descaler for each X time to carry out cleaning of the mineral remains and the chemical product from the repeated cleaning with water and alkali, like IA-721. 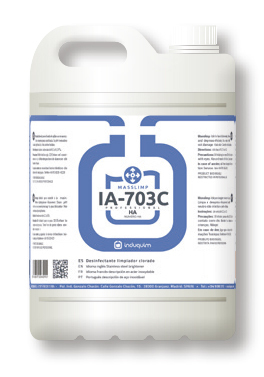 Products for temperature controlled chambers, like Desingras and specific products for low temperatures like IA-761. 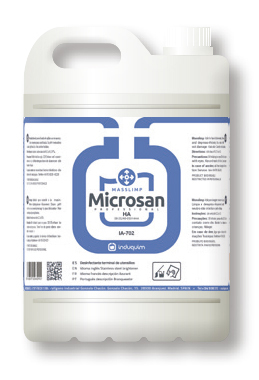 Disinfectant terminal for cutlery and utensils that ensure sterility after cleaning or during storage Microsan.